Deployment affects everyone in the military family, not just the service member. 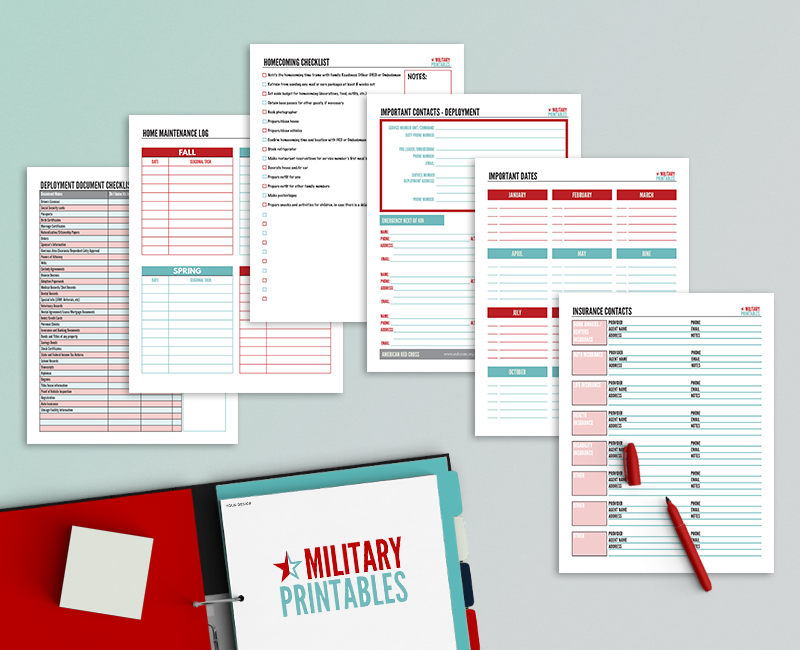 Most military families may have binders to organize their PCS documents. A deployment binder full of checklists can also help ease your mind during this stressful time. Having a binder keeps things centralized and organized on the homefront. Deployment is such a trying time, and with a little pre-planning, it may go a little easier for the spouses and families. First you will need a binder. I like This Binder because it zips all the way around. Depending on the deployment, the pay may be higher due to certain entitlements. 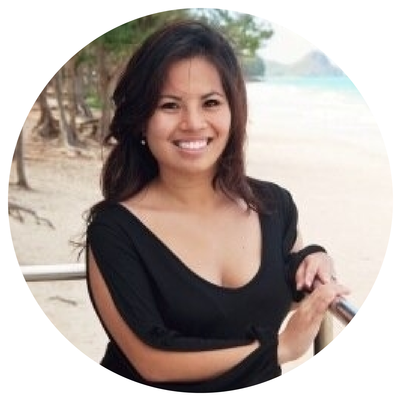 It’s also beneficial to have a budget because there may be some confusion with money spending with two people in separate locations with little to no communication. This is extremely important to have, especially for the spouse or family. You’ll need to know who to call to reach your service member in case of an emergency. When things break (which they generally do during deployment), you’ll need a list of who to contact to repair them. This goes without saying, you and your family’s health are vital and having this info on hand will help during health emergencies or issues. I admit it. My husband does everything when it comes to the cars, so I can be clueless at times. Having a maintenance log helps me out tremendously during deployment. If you and your spouse don’t share accounts, having this worksheet may save you some stress down the line. Remember to have this in safekeeping. This helps if you and your partner split the bills, or they were the primary bill payer. 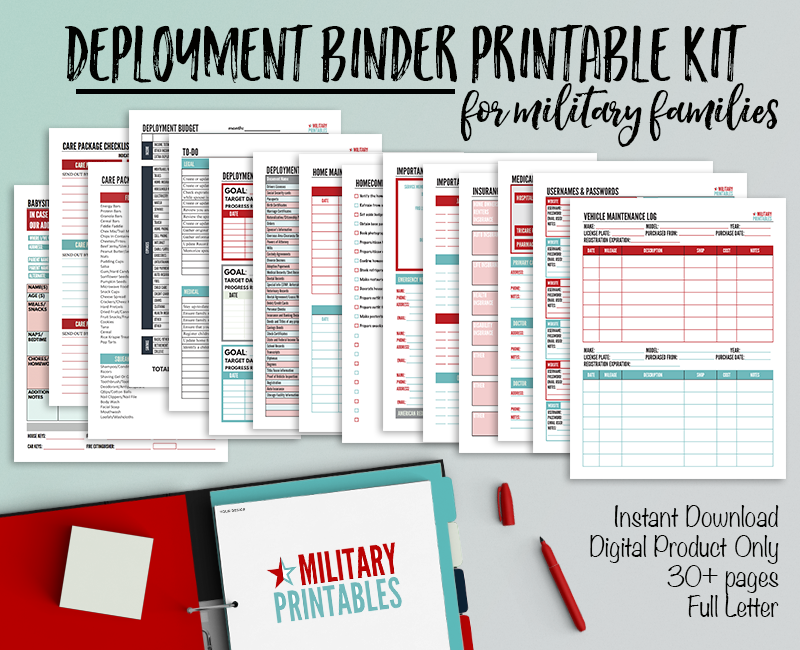 Similar to my PCS binder, I’ve created printables for your deployment binder as well. 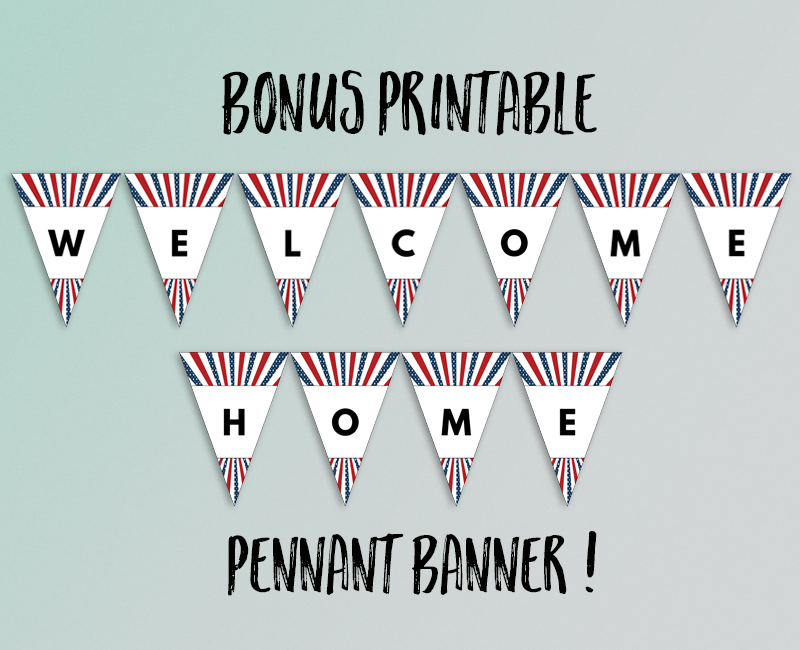 *BONUS* WELCOME HOME PENNANT BANNER! See more details at my etsy shop. Those are my must haves, do you have a deployment binder? What do you keep? Currently, don’t have free ones for this kit.